A tender is “an offer to perform work at a given price, usually made in writing.” In Australia, seeking competitive tenders from a group of builders is the most common means for procuring an architect-designed, residential building contract. The tendering process typically involves the submission of a project’s architectural and engineering documentation to three or four builders who have a month to assemble a price for its construction. Builders obtain elemental prices from sub-trades, as well as price their own work and management. They must balance their desire to make a profit from the project with the need to beat the tenders of their competitors. Assuming the documentation provided is sufficiently thorough, the builders’ tenders should all represent the same built outcome, varying only in cost and time. Thus the goal of the tender process is to obtain the cheapest possible price for a project with fixed and predetermined scope and quality. 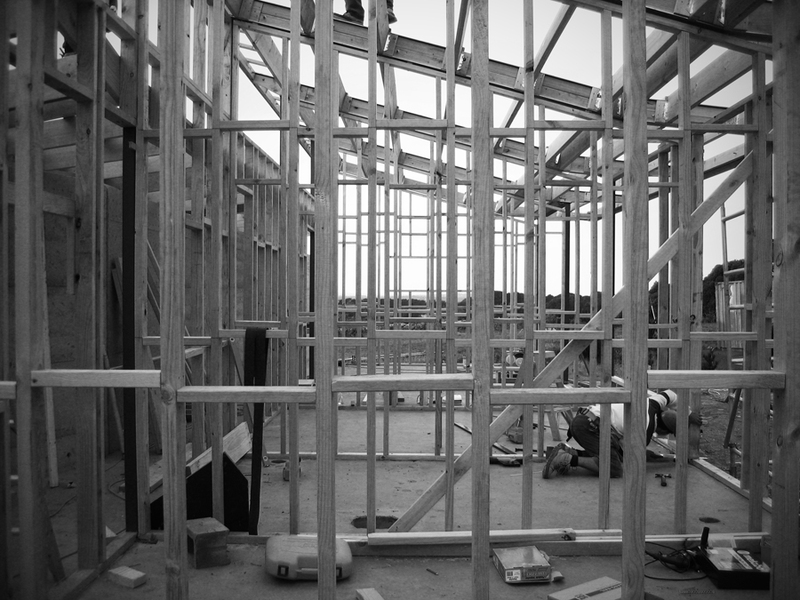 While the majority of our own built projects have been tendered, our experience of the process has been mixed: in some instances, the right builder has won the job, we have enjoyed a positive relationship on site and we have been satisfied with the build quality; in others, the wrong builder has won the job and the subsequent months on site have been a misery. To reduce the likelihood of this latter scenario, experienced architects carefully curate their tender lists. They select builders with whom they have worked before, who are already familiar with their detailing methods and who have the technical capacity to execute their particular approach to architecture. A clash of personalities. Whenever we invite a new builder onto a tender list, we perform the same due diligence we would when employing a new staff member. We interview him, visit past and current projects and contact his references. We exert every effort to make sure he has what it takes to work on a challenging, architect-designed project. We also ascertain as well as we can the builder’s personality. If there’s a chance we won’t see eye to eye on how a site should be run or how paperwork should be administered, our working relationship is likely to be strained. In this, the brevity of tendering makes it ill equipped to provide true insight. We have to hope that our brief investigations and gut feeling are enough to steer us in the right direction. Mid-tender dropouts. During the pre-GFC construction boom in Australia, builders were swamped with more offers for work than they could handle, so sometimes agreed to tender on a project only to withdraw a week before its closure. Anticipating these dropouts, we increased the number of builders on our tender lists. Discovering they were now competing against a larger-than-usual field, builders began dropping out more frequently. And so on and so forth. Our worst experience was for a house renovation in Clifton Hill, where only 2 of 7 tenderers bothered to submit prices. While this situation has abated somewhat, it remains the reason why even today we ask 4 or 5 builders to tender so we receive at least 3 prices. Haste leads to mistakes. The short timeframe of the tender period and the late introduction of builders to a project make it easy for them to miss items in their tenders. While at face value this might seem like the client wins a discounted construction price, inevitably the project suffers. The successful builder either pushes hard on cost variations, winning back the shortfall at the expense of an adversarial relationship on site, or he absorbs the loss and compromises the profitability of his business. Even without mistakes in his tender, the successful builder’s limited familiarity with a project increases the chance of him making early decisions on site that have negative consequences for its final outcome. Tendering takes time. Provan estimates he spends three full time days on every tender, sometimes longer if it’s for a large or particularly complex project. Our experience with other builders suggests that a week or even more is not uncommon. This is a significant collective burden builders have to shoulder. The time taken in tendering only gets reimbursed when builders win: thus each client indirectly pays for their builder’s previous losses. Tendering is a lottery. Despite being meticulous with his estimating and pushing hard to win tenders, Provan says he has on occasion come second to builders quoting impossible prices. He attributes this not only to error, but to chance, desperation and, in today’s depleted construction industry, larger builders prepared to quote on zero or even negative margin just to keep their staff employed. There is every chance therefore that fairly priced tenders will lose out to one priced below the project’s true value. These factors translate to high risk for builders. As there is no guarantee that any tender is in truth a fair competition between builders of similar capability, interest and financial motives, it’s a wonder builders are prepared to tender at all. For architects, whose commitment to the success of a project by definition extends to a commitment to the success of both client and builder, these issues together represent a significant disincentive to tender. Reliability of the price through careful assessment. Reliability of the builder’s capacity to complete the project. Increased awareness of the contractor’s financial capacity. Access to advice on buildability. Opportunity to discuss safety issues that may arise during construction. Potential for reduction in variations to the works. Offers the opportunity to raise matters early that can reduce disputes later. The creation of a spirit of teamwork and partnering. Provan echoes this broad sentiment and has even gone so far as to change his business model to encourage architects and clients to work with him via negotiated contracts. He now offers a cost consultancy service that can begin from very early on in the design process and will ideally continue right up until contract negotiation. If the client decides at this point to take the project to open market, he asks for a nominal fee to cover his time. If the client elects to proceed with ProvanBuilt, the cost consultancy is free. No competition. By promising a builder a project prior to receiving a detailed price, there is no incentive for him to sharpen his pencil when he eventually does so. Though an independent quantity surveyor can be commissioned to provide a comparison price, a negotiated contract is in itself highly unlikely to produce the cheapest possible price for the project. Establishing a list. For young architects, the tender process is the most effective way of establishing relationships with new builders. By discovering on this project how different builders approach the tender process, how their prices stack up, how they handle losing or how they perform on site should they win, it is possible to start curating a list of trusted builders for each and every project that follows. Negotiating does not entirely eliminate this opportunity but it does slow it down. Without other tenderers for comparison, it is harder to benchmark a builder and understand his strengths and weaknesses. The necessity of trust. Without the competitive gauntlet of the tendering process, negotiation requires the architect and client place a great deal of trust in their preferred builder, trust that can only be earned through past experience. Where this trust is absent, most notably when the architect and builder have never before worked together, some of the perils of tendering are significantly accentuated; in particular the clash of personalities and haste leads to mistakes. There are compelling arguments that can be made for both competitive tenders and negotiated contracts. On the one hand, competition makes way for cheaper building prices but on the other, negotiation facilitates more open, collaborative working relationships. We know that having the right builder on the job makes all the difference in the world. 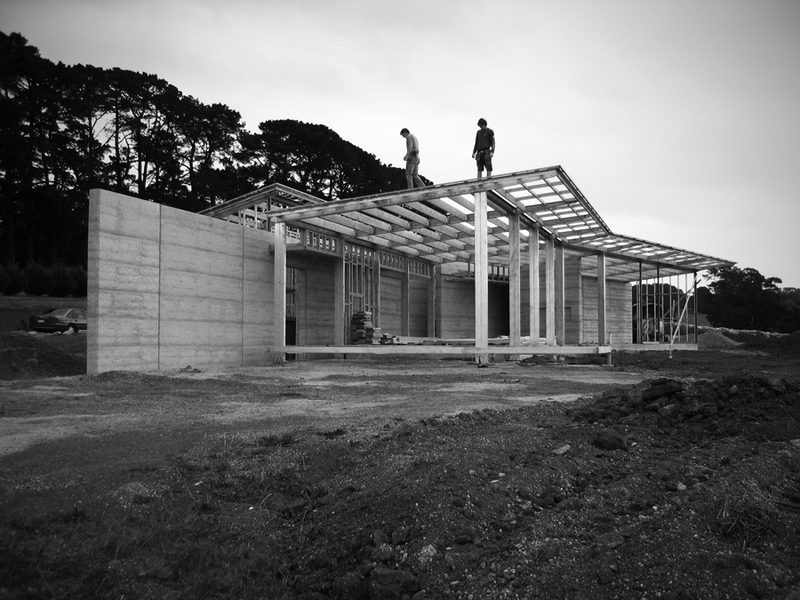 It makes the construction process a joy for everyone involved – for architect, client and builder – and it improves the chance that the built outcome will meet or even exceed our expectations. Undoubtedly, the best way to achieve these priorities is to select a builder with whom we have worked previously: to secure their involvement via negotiation. Yet, while we would love to negotiate all our building contracts now, we recognise that this is impractical. Put simply, we have not yet worked on sufficient projects to be familiar with enough builders working across enough of Melbourne to cover every foreseeable future project. Further, it is not only the builders that must earn our trust, we need to earn the trust of our clients. If we want to recommend our clients negotiate their building contracts and in so doing sacrifice the opportunity for competitive pricing, we need to be able to back up our advice with past experience. As our practice matures and list of completed projects grows, perhaps we will see a shifting emphasis away from tendering and towards negotiation. In the meantime, there will be many years of tendering before we can establish that coveted list of trusted builders. What a great article !! Our small practice is in exactly the same boat – I’m planning to show this to some of our clients whose projects are nearly at Tender, just to fully explain all the ins and outs. Once you throw into the mix whether or not you are engaged for contract admin, it also has an impact. It just goes to show, there is never one magic bullet solution. Sometimes I wish there was ! Thanks. Wendy, I was wondering if / when someone would notice that little detail. As always thank you for your excellent detective skills and dry wit! Interesting articles Waz – Django and tendering. I enjoyed Django too – though I hated the mandingo fighting sceneand it was too hard to block my ears. I think Pulp Fiction remains my favorite, though I never saw Kill Bill 2. All of my projects have been negotiated tender so far – due to a lack of knowing quality builders, but also driven by client preference, and my enjoyment of working as a team from early on. Though some of these projects are yet to be built, the process seems to work well. That said, one price came back so massive the client shelved all builders, to become owner builders. Eep! Hi Shae, I didn’t know you always negotiate. Do you discuss the pros and cons each time with your clients or is it something they come to you with first? Do you have a Quantity Surveyor on board to give a comparison price? As a grad architect currently going through my first tender I found this article a great read, thank you. Glad it was helpful, Dan. Hoping to write more and more about this sort of thing – as a reflection of lessons learned to pass onto others.